The Ambassadors Jazztet of The United States Army Field Band was developed in the legendary style of Art Blakey and the Jazz Messengers. It is composed of members of the Jazz Ambassadors of The United States Army Field Band, the Army’s premier touring jazz orchestra. Though the Jazztet performs traditional jazz standards, its primary focus is on new compositions by members of the group. The compositions vary greatly, sometimes paying homage to older styles and sometimes developing an entirely new sound, but always creating a vehicle for improvised solos. The Ambassadors Jazztet has presented clinics at colleges and high schools throughout the United States, addressing such subjects as improvisation, arranging, composition, jazz theory, and practice and performance techniques. 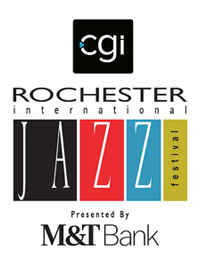 Notable performances include the Midwest Clinic, Aspen Summer Music Festival, Iowa Bandmasters Conference, and jazz festivals in Toronto, Victoria, and Vancouver, Canada. Staff Sergeant Dustin Mollick, saxophone, was born in Landstuhl, Germany and raised in Utah, Missouri, Colorado, and Virginia. SSG Mollick earned a Master of Music degree from the University of North Texas, where he was a teaching fellow and a Bachelor of Music degree from George Mason University. A saxophonist with the prestigious One O'Clock Lab Band directed by Steve Wiest, SSG Mollick performed with Tim Ries, Bernard Fowler, Ravi Coltrane, Darcy James Argue, and Kurt Rosenwinkel. SSG Mollick is also an active graphics designer. His work is featured on several CD releases including "The George Mason Shuffle," "The U-Tubes," "John Kocur: The Smoker," "Introducing Brian Clancy," and "Lab 2011." Staff Sergeant Thomas Davis, trumpet, was born in Arkansas and raised in Arlington, Texas, Staff Sergeant Thomas Davis began playing trumpet at the age of 11 and later attended James Martin High School. He received his undergraduate education from the University of North Texas, where he performed with the prestigious One and Two o'clock Lab Bands. Before joining the Jazz Ambassadors in 2013, SSG Davis was an active freelance musician and horn arranger in the Dallas-Ft. Worth area. He has performed with Gladys Knight, The Temptations, and Dave Brubeck, and has recorded with various gospel acts in the Dallas-Fort Worth area. SSG Davis also enjoys composing music, playing electric bass, and working out with kettlebells. Staff Sergeant Kyle Johnson, trombone, is originally from College Station, Texas. He holds degrees from Texas State University and The Juilliard School. In 2011, he was selected to perform with the Disneyland All- American College Band. As a band member, he performed over 200 shows at Disneyland and accompanied guest artists such as John Clayton and Arturo Sandoval. In 2013, he won the International Trombone Association's Carl Fontana Competition and his jazz trombone ensemble Hill Country Jazz Bones won the Eastern Trombone Workshop's Jazz Trombone Ensemble Competition. SSG Johnson enjoys performing jazz and latin music as well as composing and arranging. Master Sergeant Timothy L. Young, piano, joined the Jazz Ambassadors in 1998 and has been a member of the Jazztet since its inception in 1999. He earned a Master of Music in Jazz Studies from the University of North Texas in 1997. MSG Young received his Bachelor of Arts in Jazz Studies at Shenandoah University, and toured Japan, China, and Germany with the Shenandoah University Jazz Orchestra. He has performed and done clinics with Lou Marini, Charles MacPhearson, Steve Swallow, Ray Anderson, "Doc" Cheatham, Mark Tamaro, Vince DiMartino, Clint Strong, Joe LaBarbera, and Rebecca Parris. Staff Sergeant Jonathan Epley, guitar, earned a Master of Music degree and a Bachelor of Arts degree from the University of Louisville. He studied guitar under Craig Wagner and arranging/composition under John LaBarbera. He has performed with Jamey Aebersold, David "Fathead" Newman, and Delfeayo Marsalis, among others. Before joining The U.S. Army Field Band in 2011, SSG Epley served with the U.S. Army Europe Band and Chorus in Heidelberg, Germany. Originally from Jonesboro, Arkansas, Staff Sergeant Hamilton Price, began playing tuba at 14 and switched his focus to the upright bass at 17. He received his Bachelor's degree in Classical Double Bass Performance from the University of Texas at Austin. SSG Price studied improvised music with bassist John Fremgen and pianist Jeff Hellmer. He played in Gerry Gibbs' Thrasher Band for five years in and around Texas, backing up Ravi Coltrane and Tom Harrell, among others. In 2006, Hamilton moved to Los Angeles, where he was thrust into the vibrant and diverse L.A. music scene. With L.A. as a base, he toured nationally and internationally with the likes of Billy Childs and Eric Reed. 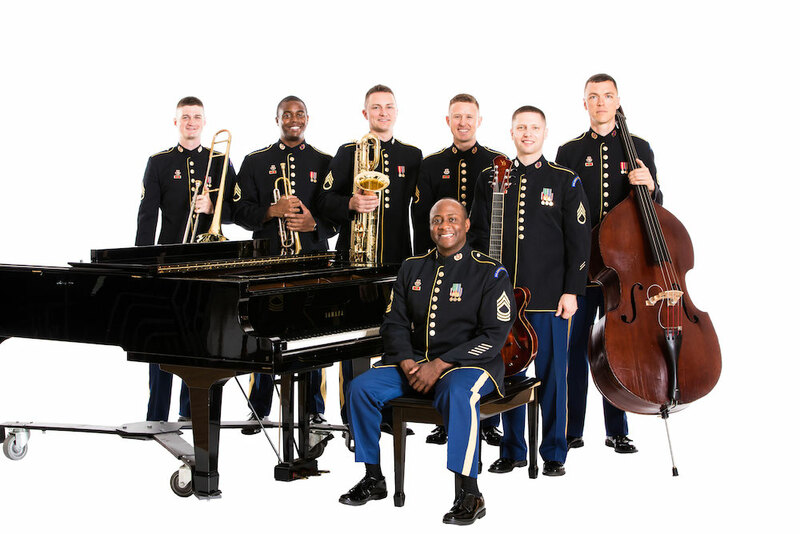 SSG Price has been featured on numerous albums, including the twice Grammy-nominated "When Lights Are Low" with vocalist Denise Donatelli and pianist Geoffrey Keezer. SSG Price is one of the newest members of the Jazz Ambassadors and is an avid runner. Zweig, John Clayton, Bobby Pierce, Ernie Andrews, Les McCann, Mary Stallings, Allan Harris, Wycliffe Gordon, Rodney Whitaker, Reginald Thomas, Ronald Carter (Sax), Brice Winston, Eric Schneider, Daniel Barrett, Rusty Stiers, John Noryeko, Sam Pilafian, Patrick Sheridan, Gregg Bissonette, Gordon Goodwin and select others. SSG Anderson lives outside Baltimore, Maryland with his wife Alexis, and is honored to serve his country as the drummer for America's Big Band.